Hi ThorfinnS, thanks for pointing this out. I don't update my mods anymore. But this particular error should not actually cause any problems besides a warning iirc. That's something I've wanted to do for a long time, but just never got around to it. Will you let me know if you do make it? I'm not updating the mod anymore though, sorry. That's really impressive! The sloped nodes look so good. 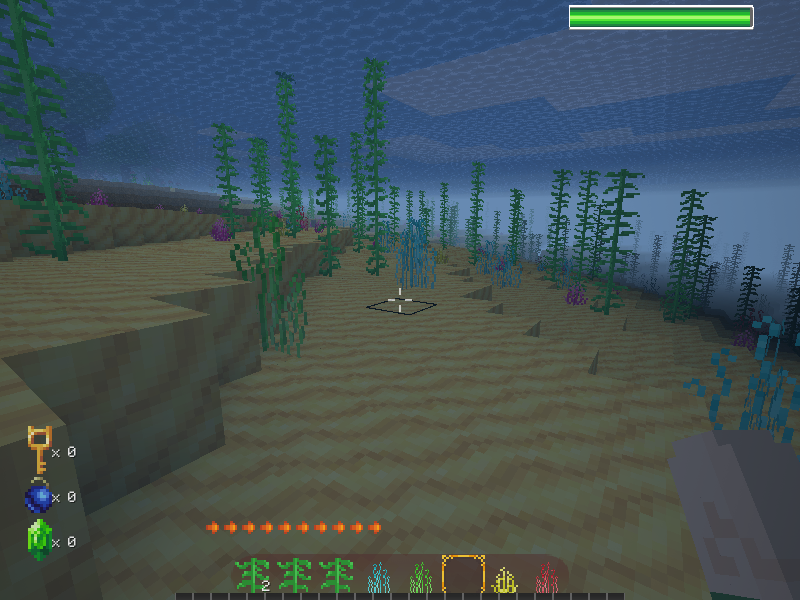 I've decided not to bother using plantlike_rooted for the underwater plants. It doesn't seem to work in v0.4.17, and if I understand correctly, all it does is put the plant above a solid node. It was already implemented iirc, just the vehicles that came with the mod didn't use it. Oh, thankyou! I forgot I'd need to fix that with the saplings. But the good news is that I can work on it now. Thanks, I've been waiting for that, didn't know it had been added yet. I think they work well enough, I don't want to overcomplicated things. Anyway, I made the leaves drop saplings (in the update branch). All I have left to do now is to improve the villages and to add more room variations to the tower. Ok, I will add it to my to-do list. Yes they do, but probably not the leaves for the new trees, since I haven't updated the way that their leaves decay. I'm not sure what you mean. Anyway I'm going to fix the problem. I'm assuming it got broken in 0.4.17 or something. Oh that sounds good! thanks for letting me know. "Bouncy" is actually a hostile mob, it just wasn't causing damage because of your armour. Maybe I should make a friendly variant. They do that because of the tiny hitbox. They could make their way through a 1x1 space, and also they might be able to hit through walls because of the way mobs_redo does damage. I might have to reduce their attack radius. It makes entity selection boxes invisible, and peahats have a very small selection box near their base. So you cant attack their spikes for example.